KELOWNA, B.C. – April 2 th , 2019. Residential sales across the Revelstoke to Peachland region rose to 545 in March, up from February’s 407 yet 13% fewer than March of last year reports the Okanagan Mainline Real Estate Board (OMREB). While Mother Nature is taking her time with the outward signs of spring, the market is rising to the occasion with more activity. In line with a typical spring busier market was an average price of $510,435, just 4% above February and 2% lower than last March. Also of note and despite a 44% increase in new listings over the previous month, the supply of homes for sale decreased 12% over February’s inventory. “Despite steady increases in new listings over the past several months, housing supply is light as we head into the spring market, which is concerning and points to a problem we’ve been stressing for a while: a generalized lack of housing supply,” says Beer. paid to helping assure a sustainable supply of affordable housing. “There are troubling trickle-down effects with these one-sided government policies, especially for young families trying to put a roof over their heads,” contends Beer. If millennials, currently the largest first-time home buying group, can’t buy, they will likely stay renting longer, spelling bad news for rental markets already facing plenty of competition for few vacancies. If housing supply stays low, those who still qualify under the new stricter mortgage rules may find increased competition for scarce housing, often a catalyst that drives up pricing. Those hoping to upgrade, which could free up an affordable home for sale, may find their own difficulties. Prospective purchasers may be chased away by stricter mortgage rules under which they no longer qualify. Even if buyers can be found, starter home owners may be challenged to find an upgrade they can now afford, as they face the same challenges (harder mortgage qualifying rules; higher interest rates; competition for scarce suitable homes) as their prospective buyers. The seller of the affordable home may opt to stay put and no starter home opens up to a first time buyer. “At the end of the day, the answer likely lies in governments doing things differently and its likely a basket of actions to fuel creation of a spectrum of affordable housing to accommodate a range of population requirements,” says Beer. 89 real estate offices within the southern interior region of British Columbia (Peachland to Revelstoke). The Board is dedicated to providing leadership and support to its members in their pursuit of professional excellence. KELOWNA, B.C. – March 4th , 2019. Residential sales for the region of Revelstoke to Peachland rose to 407 in February, up from January’s 310 and December’s 324, yet 19% fewer than this time last year reports the Okanagan Mainline Real Estate Board (OMREB). “Despite a cold snowy February, the market behaved true to form for the time of year, picking up from the last couple of months,” comments OMREB President Marv Beer. Other indicators further signifying a shift away from the strong sellers’ market of the past several years include an increase in new listings, a growing inventory of homes for sale and lower average pricing. New listings were 965 compared to January’s 913 and 912 this time last year. The supply of homes for sale continues to climb, currently at 3201 compared to about 2300 a year ago. Average price, at $490,760, was on par with January at just 2% higher and 4% lower than last year. In keeping with more activity, the average number of days to sell a home was 88 versus January’s 102 and last year’s 89. Comparing this February’s average price to last year by housing category shows single family residences averaging $596,372, just 1% lower than last year, whereas the average price for condominiums was 10% lower. Pricing for townhouses averaged 4% higher. “I imagine no one is surprised that single family unit pricing has, so far, stayed stubbornly consistent. Despite two-parent families with children consistently the largest group of home buyers in the region, we’re still lacking a supply of affordable single home units to meet their needs – a need that won’t be met through more government housing-related tax and stricter mortgage rules,” Beer contends. It’s important to take steps to protect your interests and reduce risk when making a financial transaction as significant as buying or selling a home. Home sellers can benefit from the market knowledge and resources a local real estate professional can bring to bear in pricing the property and executing a marketing plan, including appropriately positioning the property on MLS and across multiple real estate portals. Home buyers can benefit from a local professional’s knowledge in evaluating properties for sale and ensuring an offer to purchase includes appropriate conditions and terms. Both buyers and sellers can benefit from a real estate professional’s skill and practice in negotiation. OMREB is a member-governed not-for-profit association representing more than 1300 REALTORS® and 89 real estate offices within the southern interior region of British Columbia (Peachland to Revelstoke). The Board is dedicated to providing leadership and support to its members in their pursuit of professional excellence. 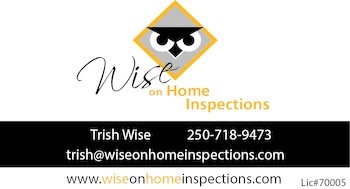 What can a seller do to prepare for a home inspection & help get the best results? Zach Pashley and Brian Stephenson from Pushor Mitchell LLP in Kelowna came to a recent Coldwell Banker Horizon Realty meeting and shared some information regarding the Speculation Tax. Here are the links to the presentation and a brochure with some more information. KELOWNA, B.C. – January 3rd, 2019. Residential sales posted to the Multiple Listing Service (MLS®) for the Peachland to Revelstoke region declined to 324 in December, a 29% decrease from both the previous month and this time last year. Average price, at $504,581, was 3% lower than November’s price and 3% lower than this time last year. Average days on market increased to 99, compared to 91 in November and 79 last December. New listings were 426 compared to 465 last December, contributing to an inventory of homes for sale that remains 35% higher than this time last year. “Looking to 2019, we can expect that the market will continue to moderate, as compared to recent years, with all signs pointing to more balanced conditions where buyers and sellers are benefitted more equally. Demand is dampening as a result of government policies that erode affordability and purchasing power, yet these effects are continuing to be offset by relatively strong economic performance,” comments Beer. Beer makes note of the impending speculation tax as another shift on the horizon for 2019. While the tax only affects homes in Kelowna and West Kelowna at this time, it is expected to impact about 1800 Kelowna properties and 600 in West Kelowna. The relative make-up of home buyers in the region stayed constant with those from within the area comprising the largest group at 59%, followed by those from the Lower Mainland/Vancouver Island at 20% and those from Alberta at 11%. Contrary to what many believe, foreign buyers remain a consistently small percentage at just 2%. “First time buyers continue to be a strong contingent at 17%, just behind those moving to a similar property type at 21% and those moving up at 20%. In terms of family dynamic, couples with children top the list at 30% of buyers, following by childless couples at 24% and empty nesters or retired at 21%,” says Beer. “Last month, we waited to see how the market would react to the Bank of Canada’s latest interest rate hike and the BC government’s tabling of their speculation tax and while the market traditionally slows this time of year, we are also likely seeing the effects of these actions,” comments OMREB President Marv Beer. Influencing market demand can be tricky and with two levels of government continuing to tinker independent of each other. Outcomes could quickly shift from balanced conditions that favour both buyers and sellers to a situation that could precipitate a market slide, which would benefit no one. A much-needed supply of homes for sale was bolstered by a 20% increase in new listings, boosting inventory to 34% over November last year. Average price stayed consistent with the previous month and this time last year, at just 2% and 3% respectively. Average days on market, another key market indicator, rose to 91 in November as compared to 81 in October and 87 this time last year. The Shuswap/Revelstoke area bucked the trend towards more days on market recorded for the region as a whole with a 13% drop from 187 days this time last year to 163 in November. “Even within a local real estate market, conditions can differ by region or by housing type, which is why the public is advised to consult a Realtor familiar with the area or product of interest for more in-depth market data and professional analysis and interpretation of that information,” says Beer. Contrary to public perception, foreign and out-of-province individuals continue to be a small percentage of those purchasing homes in the region at 1-3% of the buying population. Buyers from Alberta continue to hold at about 11-12% and those from elsewhere in Canada at less than 1%. The largest buying group by far continues to be those who already live in the area at around 55-60% any given month. KELOWNA, B.C. – November 1, 2018. Residential sales posted to the Multiple Listing Service (MLS®) for the Peachland to Revelstoke region rose to 639 in October, 9% over September, but 13% fewer than this time last year reports the Okanagan Mainline Real Estate Board (OMREB). “Interestingly, more homes sold in less time than September but average price was 5% less than September and 4% less than this time last year,” comments OMREB President Marv Beer, cautioning not to take too much stock in the price drop just yet, as the mix of properties sold in the month may be a factor. New listings continued to climb along with the inventory of available housing, with 14% more listings than this time last year contributing to an inventory of homes that is now 33% higher than October of 2017. The average number of days it took to sell a home dipped slightly to 81 from September’s 90 days and last October’s 83 days. “Growing housing supply is a strong indicator of continued movement towards a balanced market where sellers and buyers are favoured more equally,” says Beer, noting that more supply offers benefits for prospective buyers, those looking to rent and even those considering selling. Even within a local real estate market, conditions can differ within sub-regions or housing types. Buyers and sellers are encouraged to consult a local real estate professional to ensure they have comprehensive data and professional analysis and interpretation of that data to inform their decsion making. “It’ll be even more interesting to see what next month brings, as the Bank of Canada followed through with another interest rate hike in October and the BC government tabled their speculation tax,” comments Beer, noting adjustments made which, if the tax is voted in, will mean Canadians residing within and outside of BC will pay a lower rate than previously outlined. Looking at buyers of homes in the region, it’s worth noting that foreign and out of province buyers continue to be a small percentage of the buying population. “It’s surprising how many people are convinced the speculation tax is needed in Kelowna and West Kelowna to curb foreign and out of province buyers. While this may be the case elsewhere, I can tell you that for the eight years OMREB has been tracking buyer data, foreign buyers have remained 1-3% of our buying population, buyers from Alberta at 11-12% and buyers from elsewhere in Canada less than 1%." The largest buyer group, by far, continues to be those who already live here at about 55-60% any given month, followed by those who live elsewhere in BC. Also likely different than what people generally assume, first-time buyers are a strong buying group that vies for first place with buyers looking to move up and those relocating to a similar property type. Two-parent families with children generally head the buyer group, followed by couples without children and empty nesters or retired. Shifting political winds could exacerbate an already-softening Metro Vancouver housing market buffeted by recent government policies and higher borrowing costs, said an industry analyst at the Urban Development Institute’s annual real estate industry outlook on Tuesday. Michael Ferreira, principal of Urban Analytics, warned that a number of Metro Vancouver municipalities could take on an anti-development slant after the Oct. 20 election. “You have reason to be a little bit nervous because there’s certainly a tide of anti-development sentiment that’s building in the market today,” Ferreira told about 800 members of the real estate and development community at the UDI presentation. Across Metro Vancouver, housing affordability and density are key issues for many municipalities, with some candidates and parties critical of densification and some calling for a “pause” on development, which, argued Ferreira, would be misguided. Other candidates and parties have also expressed commitments to create more affordable and market rental housing as a solution to the housing crisis. He was also critical of the NDP’s provincial task force which recommends tying annual increases to inflation. “It may win political points in the short term,” he said of the NDP’s plan, but will result in lower rental supply and make developers less inclined to build. Ferreira said there was a sense of frustration among rental developers. Many projects were bogged down by a slow approval process, with one developer estimating it’ll take five years to complete a rental project, while some projects get scrapped or put on hold because the city demanded such unfavourable terms the developer couldn’t make the project work, he said. Ferreira, who crunches data on new condos, highlighted some bright spots for the industry. The pre-sale market remains healthy, with large projects such as Gilmore Place in Burnaby, Linea in Surrey and smaller projects along the Cambie Corridor and at UBC reporting strong demand. These projects were done by local, experienced developers who know their market and priced their products right, Ferreira said, noting that Onni priced units at The Gilmore’s first tower at just under $1,000 per square foot, less than the $1,100 per square foot price of a nearby project that had launched earlier. The re-sale market, however, is a different story. The Real Estate Board of Greater Vancouver reported 1,595 sales in September, a 43 per cent drop compared to the same month last year. Sales-to-listings ratio have also dropped, particularly for condos and townhouses, which are now in a balanced market. So far, this hasn’t translated to price drops. “We haven’t seen a lot of actual declines in prices,” Ferreira said. “But we’ve seen some softening in the form of incentives being offered to buyers” such as decorating allowances worth between $30,000 to $60,000, reduced deposit requirements, or in the case of one Langley condo project, an offer to pay the buyer’s first year’s mortgage. “If we continue to see softening in demand and increase in supply, we are going to see a drop in buyer urgency and likely start to see more softening in prices,” said Ferreira. If the legislation is passed, the new tax will apply to all properties in designated regions of B.C. These include most parts of Metro Vancouver and the Capital Regional District (excluding the Gulf Islands), along with Abbotsford, Mission, Chilliwack, Kelowna, West Kelowna, Nanaimo and Lantzville. Homeowners who live at their properties — or rent them out — will receive an exemption by filing an annual declaration form. For the remaining properties, a tax rate of 0.5 per cent of the assessed value will apply for 2018. In 2019 and subsequent years, B.C. residents with vacant or underutilized properties will continue to pay that rate, while Canadian citizens or permanent residents who are not B.C. residents will start paying one per cent. Foreign homeowners or "satellite families" who make 50 per cent of their income outside B.C. will pay two per cent on all properties, unless they rent them out. The goal is to prevent housing speculation and help turn vacant properties into rentals, said Carole James, B.C. 's finance minister. "As a government, we have a responsibility to act, to make sure that people can afford a home in the communities where they live and work," she said. "The speculation and vacancy tax is a critical piece if we want to moderate our overheated housing market." Some opposed mayors in regions where the tax is set to apply had called on the finance minister to allow an opt-out clause, but James declined. "When you face a major provincial crisis, it is the responsibility of the provincial government to act, not to let municipalities pick and choose about whether they want to address affordable housing," James said. However, the opposition Liberals say the tax punishes people in B.C. who want to have a retirement home and it will do little to improve housing affordability. "This is the height of NDP arrogance and hypocrisy," said Liberal leader Andrew Wilkinson. "Our goal is to defeat this bill because it is a phony tax. It accomplishes nothing except to grab revenue for the NDP." Green Leader Andrew Weaver, who has been critical of the tax in the past, said he's still reviewing the fine print to determine if his concerns have been addressed, and any changes that may be necessary. "I still have concerns that Canadians are not being treated equally and that there is an insufficient role for local governments in determining what happens in their communities," Weaver said in a statement. The legislation also includes a number of exemptions for what the province calls special circumstances, including major home renovations and divorces. Properties that are under development or renovation are also exempt — something that will keep the tax from discouraging more housing to come online, James said. It's estimated that more than 99 per cent of people in B.C. won't pay the tax, James said. KELOWNA, B.C. – October 2, 2018. Despite slower sales activity of 585 residential sales in September compared to 709 the previous month and 740 last year, average price across the region of Revelstoke to Peachland inched up 5% over August and 8% over last September, reports the Okanagan Mainline Real Estate Board (OMREB). “We’re seeing a shift across the region with all signs, save average price, pointing to a market continuing to transition from a sellers’ market to one that would favour buyers and sellers more equally,” comments OMREB President Marv Beer. “While average price, at $534,943, crept past both the previous month’s pricing and this time last year, houses are sitting on the market for longer so it’s likely only a matter of time before we start to see downward pressure on price,” says Beer. Beer was quick to note that average price can swing from month to month, depending on the mix of higher and lower-priced homes that sell in that timeframe. Other indicators of a normalizing market include an increase in the time it takes to sell homes, with 90 average days on market for September, compared to 78 last month and 78 last year. Rising housing inventory is another signal, now 29% higher than a year ago with more supply slated to come on-stream within the next year or two. “More supply means buyers have more choice and, as a result, tend to become more discerning. This can ultimately can affect price, however real estate markets are never quite that simple, as other factors are also at play,” says Beer. Already checked by higher interest rates, the market may react to predictions of more hikes, now more likely with the US Federal Reserve’s most recent rate increase and the Bank of Canada’s pledge that rates will rise in October. Government policy changes, such the proposed speculation tax slated to be voted on in October can also have a dampening effect. Conversely, the market is bolstered by strong provincial economic fundamentals such as low unemployment and demographics that include millennials ready to purchase their first home. Looking at buyers of homes in the region, the latest results from home sales closing in August reveals a strong showing of first-time buyers at 16%, although two-parent families with children topped the list at 30% of buyers. Those buying for revenue or investment purposes were 14%. Typical for the region, the largest buyer group, at 56%, comprised those who already live in the area, with the next largest groups being those from the Lower Mainland/Vancouver Island at 21% and those from Alberta at 12%. Foreign buyers were just 1%. Beer notes that buyer profiles for the region have remained consistent over the eight years of data collection. “While the BC government would have us believe that speculation by foreign buyers and those from other provinces is making homes here less affordable, the reality is that at 84%, the vast majority of buyers in this area are BC residents, and that figure changes only slightly year over year” says Beer adding “Clearly, the solution to greater affordability lies elsewhere. KELOWNA, B.C. – September 5, 2018. A cooling trend in home sales continues across the region of Revelstoke to Peachland, with 709 sales posted to the Multiple Listing Service (MLS®) in August, a 5% drop from the previous month, yet 20% fewer sales than this time last year reports the Okanagan Mainline Real Estate Board (OMREB). “We are now six months into a cooling trend, with a curb in demand arising from natural market shifts, but intensified by government intervention in the form of tougher mortgage rules, higher interest rates and the threat of a possible speculation tax,” says OMREB President Marv Beer. Of note is an increase in average days on market, now at 78, up from 65 days the previous month and 69 last August. “While we are not seeing it as yet, downward pressure on price typically tends to occur when days on market lengthen,” says Beer, noting that average price in August was $511,916, an 8% drop from the previous month, but 5% higher than this time last year. Moderating demand is helping ease a chronic shortage of housing supply, with active listings contributing to an inventory of available homes that is now 27% over this time last year. A pullback in demand coupled with an increase in the number of homes for sale is moving the region’s housing market towards balanced conditions, which typically means more selection for those in the market to buy, less likelihood of competing offers and, if it continues, downward pricing adjustments. “Unfortunately, government intervention has also had the effect of making homes less affordable, as the new mortgage rules and higher interest rates mean that the buyer’s dollar doesn’t go as far as it used to,” comments Beer, noting that the effect is heightened in certain parts of the region where housing affordability was already challenged. Keeping in mind the millennial generation, a group that comprises many of today’s first-home buyers, Beer suggests that housing affordability could be better resolved through measures that help deliver the type of housing that buyers want and need to market more quickly and efficiently rather than penalizing those hoping to buy. Pointing to a provincial forecast by the British Columbia Real Estate Association that projects a 21% decline in residential sales this year, Beer suggests that further checks on demand may not be required. “Clearly, this is not the environment to introduce a so-called speculation tax that would have minimal effect on actual real estate speculators and, instead, punish long-time homeowners who are primarily BC residents,” contends Beer, noting that such a tax could have wide-spread unintended consequences. With the government vote on the speculation tax pending this fall, members of the public are urged to register concerns about the proposed tax with government at scrapthespeculationtax.ca. KELOWNA, B.C. – August 2nd, 2018. Residential sales across the region of Revelstoke to Peachland moderated slightly in July, with 742 sales posted to the Multiple Listing Service (MSL®), down 7% from June, yet 23% lower than this time last year reports the Okanagan Mainline Real Estate Board (OMREB). “I think we can officially say that we are moving towards balanced market territory, although we are still at a point where the market tends to favor sellers more than buyers, yet not as much as in previous years,” comments OMREB President Marv Beer, noting five months of consistently lower sales volumes than last year, coupled with more new listings contributing to a growing inventory of available homes that is 26% higher than this time last year. Despite indicators suggesting the region’s market is transitioning, July’s average price held at $559,235, 2% higher than June and 11% over this time last year. Days on market, an indicator of how long it takes to sell a home, was consistent with this time last year, at 65 days versus 63. “It takes time for those active in the market to respond to changing market conditions, so sales activity tends to fall before prices adjust. Likewise, days on market is also a factor to watch, with longer days on market associated with downward pressure on pricing,” says Beer. While a pull back from the highs of the last few years is expected, current home buyer activity is also being dampened by government intervention. The Bank of Canada raised its interest rate July 11th for the second time this year and is expected to cautiously hike interest rates over time. More restrictive mortgage requirements are also having an impact, as is the specter of a provincial so-called speculation tax. Turning to buyers of homes in the region, it’s worthwhile noting some commonly-held beliefs about who is actually driving buyer activity. The assumption is that foreign buyers and those from other provinces are significant, a misconception somewhat fostered by the provincial government’s ads about the speculation tax. The reality is that for eight years running (the timeframe OMREB has been collecting buyer data) foreign buyers comprise less than 3% of the buying group at any given time and those from other provinces are less than 15%, of which Albertans are around 10%, depending on the year. The largest buyer group, at consistently 50 – 60%, comprises folks who already live here, with those from the lower Mainland/Vancouver Island comprising the second largest buyer group at about 20%. “The make-up of buyers of homes in this region, softening market conditions and continued federal government intervention all would suggest that further interference in the market via a speculation tax that would impact long-term BC homeowners far more than speculators, out of province, or foreign buyers is not needed and makes no sense whatsoever,” contends Beer, noting that two-thirds of the homes targeted by the tax are, in fact, owned by BC residents. I thought I would share some information on suspended slabs with you. We are starting to see quite a few suspended slab garages in the Okanagan - it's great way to add extra space in the basement underneath. As we all know, the concrete floor in a garage usually cracks during the curing process and usually these small cracks are innocuous and don't cause any harm. However, with a suspended slab these small cracks can let water through to the room underneath. Car comes in with snow on it, it melts, runs down through the crack to the space below. Depending on how the room below is finished there maybe damage hidden in the ceiling from years of water slowly dripping through. It will take either time or a lot of water all at once before it appears on the basement side of things and this can be hard to detect during our dry season. KELOWNA, B.C. – May 7, 2018. Residential sales for the region of Peachland to Revelstoke tallied 746, 19% more than March, but 9% down from this time last year, reports the Okanagan Mainline Real Estate Board (OMREB). “Despite the typical spring upswing, this is the second month in a row where sales are fewer than last year’s tally, suggesting the market is continuing to normalize” comments OMREB President Marv Beer, cautioning that more data points are needed to constitute an actual trend. “Markets are cyclical and what we hope for are smaller peaks and valleys, but it’s difficult to know if that’s what we will get, given the volume of tinkering occurring in the form of Federal mortgage tightening rules and higher interest rates and now a proposed Provincial speculation tax,” says Beer. New listings were 1519 compared to March’s 1393 and last year’s 1378. “This is more new listings than we’ve seen for some time, likely resulting from two possible sources: more housing supply coming on-stream as developers complete construction and a factor may also be fears related to the government’s proposed speculation tax, which, for some, could add a substantial and unexpected tax burden,” Beer comments. Latest Buyer Survey results show three types of buyers vying for the largest group: first timers; those upgrading; and those relocating/moving to a similar-type property, all at 19% of total buyers respectively. Two-parent families with children topped the buyer list at 28%, with childless couples close on the heels at 27%. Buyers from within the OMREB board region remained the majority at 55%, followed by those from the Lower Mainland/Vancouver Island at 19% and other areas of BC at 11%. Foreign buyers were 3%. April’s average price was $517,149 consistent with March, but up 8% from this time last year. Days on market averaged 65, fewer than both March’s 78 and last year’s 75. A shifting market, complicated by so many external influences, can make for tricky conditions. Buyers and sellers alike can benefit from engaging a local real estate professional who has the knowledge and skill to analyze and accurately interpret market conditions and resulting implications. OMREB is a member-governed not-for-profit association representing more than 1300 REALTORS® and 88 real estate offices within the southern interior region of British Columbia (Peachland to Revelstoke). KELOWNA, B.C. – April 6, 2018. Residential sales across the region of Revelstoke to Peachland rose to 628 in March, 25% over the previous month, yet down 24% from this time last year, reports the Okanagan Mainline Real Estate Board (OMREB). “While the market was busier than February, as is the norm this time of year, sales were substantially down from last March. At this point, it’s difficult to know whether or not this is significant or if it is simply an anomaly.” says OMREB President Tanis Read. Average price was $521,192, up just 2% over February and 10% higher than this time last year. Days on market, or the time it takes to sell a home, averaged 78 fewer in March than February’s 89, but consistent with last year’s 79 days. New listings, at 1393, were 53% higher than last month, but just 3% more than last March’s tally of 1353. “If we were to focus solely on sales volume, we might anticipate movement towards a balanced market, although current housing inventory is nowhere near what it would need to be to meet the definition of such a market. However, average price, days on market and new listings are all generally consistent with this time last year, so it’s anybody’s guess as to whether or not March’s stats are the beginning of a trend,” says Read. Read notes a number of external factors that could impact the market, not the least of which is the recently announced BC government’s housing-related taxes, including the controversial speculation tax, which isn’t really a tax on speculators, but rather a tax on assets. “If implemented, the BC government’s housing-related taxes, coupled with recent federal mortgage tightening rules and interest rate hikes, could be the tipping point that takes the market from a gradual downturn to a potentially steep decline,” Read cautions. A recent British Columbia Real Estate Association Market Intelligence Report notes that ‘even a relatively minor 10% negative shock to home prices would extinguish $90 billion of (BC homeowners’) wealth, or $70,000 of the average homeowner’s equity.’ Falling home prices could severely impact the BC economy, with declining household wealth leading to reduced consumer spending and job loss. A drop in housing demand would curtail home construction, slowing expansion of housing supply and leading to more critical shortages in future. Read contends that increased housing affordability, a concept that OMREB and its members strongly support, is more likely to be achieved through other means such as addressing factors that have chronically prevented supply from keeping up with demand. Read notes that the focus over the past several years, both federally and provincially, has solely been on the demand side, with little to no attention paid to the supply side of the equation. With so many factors impacting the market, conditions are tricky and buyers and sellers are advised to engage a local real estate professional whose job it is to stay abreast of conditions and who has the knowledge to analyze and accurately interpret market implications. KELOWNA, B.C. – March 6, 2018. Across the region of Revelstoke to Peachland, residential sales tallied 503 in February, up 12% over January, yet consistent with this time last year, reports the Okanagan Mainline Real Estate Board (OMREB). “The market typically picks up this time of year and this year is no exception despite recent new federal mortgage tightening rules and an interest rate increase,” comments OMREB President Tanis Read. Read notes February’s key indicators are largely consistent with last year. “Average price, at $509,545 is just 6% over this time last year and within 3% of January’s pricing. Days on market (how long it takes to sell a home) averaged 89 - fewer than January’s 99, but consistent with last year’s 86 days. New listings, at 912, were up 16% over January, but comparable to last year’s 904 as was available inventory at 2333 active listings. “This is also liable to have a detrimental effect on the Okanagan economy, not because of the intended changes to real estate prices, but due to the unintended loss of revenues generated by those homeowners who take advantage of local services such as car dealers, wineries, restaurants, gas stations, etc. and the resulting potential job losses,” says Read. “In the long run, I can’t see how curbing sales of recreational, student or non-primary housing options to people from provinces next door and beyond will address the Lower Mainland’s issues with housing affordability,” says Read, noting that, at this point, the speculation tax only affects properties in Kelowna and West Kelowna, and not elsewhere in the region served by OMREB. Read contends that the solution lies less in curbing demand through taxation and other measures and more in working with local governments to address factors that prevent the housing supply from keeping up with demand and affordability such as lengthy and uncertain approval timelines for building permits. Particularly in light of the volume of recent regulatory change affecting the housing market, both buyers and sellers are advised to engage a local real estate professional whose job it is to stay abreast of conditions and who has the knowledge to analyze and accurately interpret the market implications. OMREB is a member-governed not-for-profit association representing almost 1300 REALTORS® and 89 real estate offices within the southern interior region of British Columbia (Peachland to Revelstoke). The Board is dedicated to providing leadership and support to its members in their pursuit of professional excellence.